Dental veneers can transform your smile. They are used on the front teeth to make your smile more symmetrical and much brighter than before. This cosmetic dentistry treatment creates a lasting impact and is hugely popular. At Broseley Dental Practice, as well as making sure your teeth and gums are as healthy as possible, we want our patients to feel happy and confident when they smile. That’s why veneers are a great option for people who are unhappy with the appearance of their teeth and want to avoid multiple treatments. A dental veneer acts as a ‘cap’ or cover for the front teeth. Each veneer is individually manufactured by our expert laboratory team. 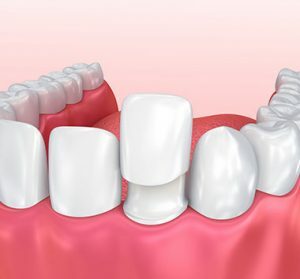 Dental veneers are made of porcelain and can be used to restore the appearance of teeth that have been damaged, are heavily stained or discoloured and to restore wide gaps in the teeth. They can be used on a single tooth or multiple teeth depending on your dental needs. You can leave Broseley Dental Practice with a new set of veneers in just two visits. Once you have chosen this cosmetic procedure, we will prepare your front teeth by removing a thin layer of dental enamel to create the ideal bonding surface for the veneer. We will take impressions of your teeth and help you to choose the exact shade of veneer for your new teeth. We will send the impressions and information to our laboratory who will start the building process. At the next visit, your dentist will first show you how the veneers look. Once you are happy with their appearance, the veneers will be bonded into place. These are long-lasting and durable cosmetic enhancements and we will show you how to care for them.